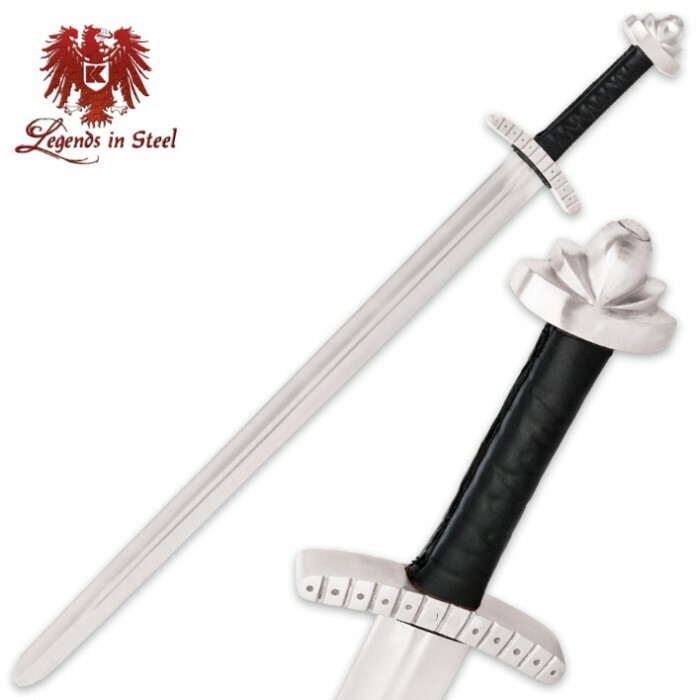 Legends In Steel Viking Training Sword | BUDK.com - Knives & Swords At The Lowest Prices! 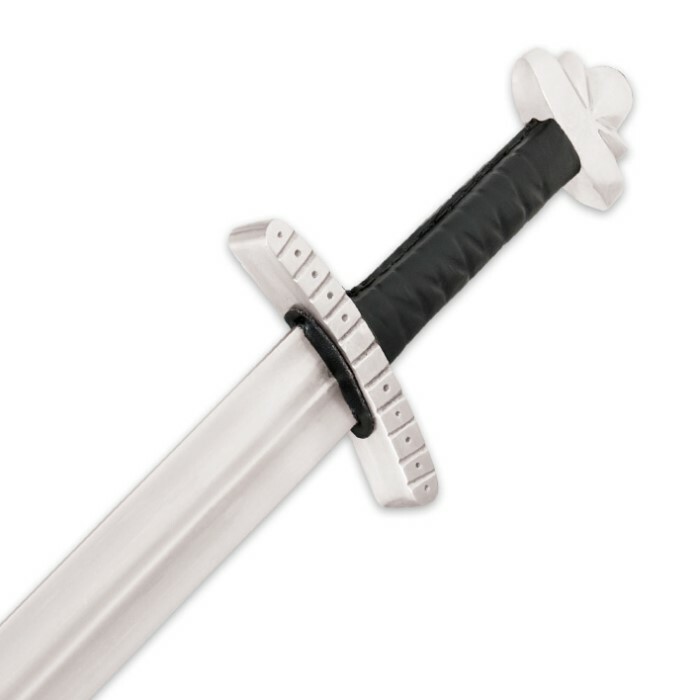 Add this Legends In Steel Viking Training Sword to your collection of trainers today. You will definitely be satisfied with its sturdy, no-nonsense construction. The 27-1/2” blade is made of high carbon steel and features a full-tang. The point of the blade is rounded for safety. The grip is of leather for a secure hold and the trainer is 35-1/4” in overall length.